We recently ordered some new animal print ribbon. This is great ribbon. Here's just one of the styles we received. I weaved it through a new felt flower from Making Memories. It's a simple card. 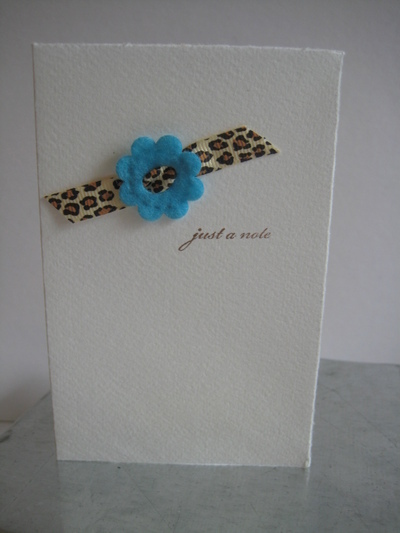 I like the contrast with the bright blue flower and the animal print.